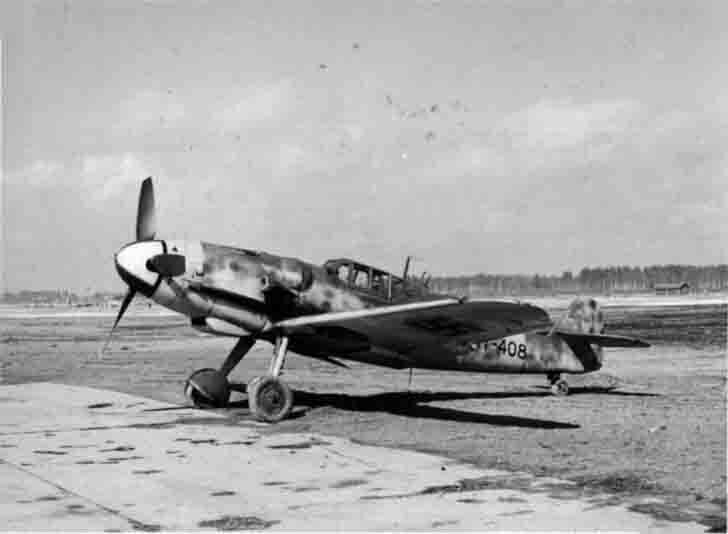 German Messerschmitt Bf.109G-6 fighter standing on the airfield. Messerschmitt Bf.109 (Messerschmitt Bf.109, the traditional spelling of the USSR Me-109) – a single-engine piston fighter standing on the Luftwaffe and the Air Force in different countries for about 30 years. Depending on the modification was used as a fighter interceptor, high-altitude fighter, fighter-bomber, reconnaissance aircraft. Messerschmitt Bf.109G-6 fighter was the main fighter of the Luftwaffe during the Second World War.